Cooking & Eating, Ingredients, Sweet, etc. At about three o’clock on a weekday afternoon, sojourn to Largo São Domingos and search out a tiny open storefront that is just labeled ‘Ginjinha’, carved into the side of a building across the street from the Teatro Nacional D. Maria II. There, you will hand the man behind the bar one Euro, and what you’ll gain in return is a small plastic cup filled with a crystalline red liquid and a couple of shabby-looking gray cherries at the bottom. 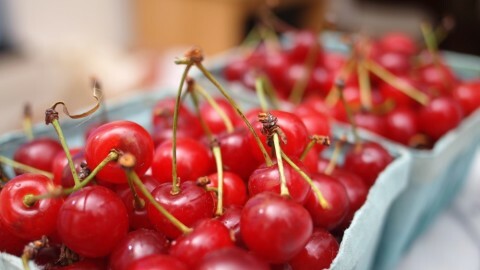 If you receive no gray cherries, ask for them. They are vital to the real ginjinha experience. With plastic cup in hand, you will then remove yourself directly outside of the storefront, where you will mill about or lean against the wall with one to two dozen folks from all walks of Lisbon life, including people wearing suits, tourists of discerning taste, and recent immigrants who live in the area. 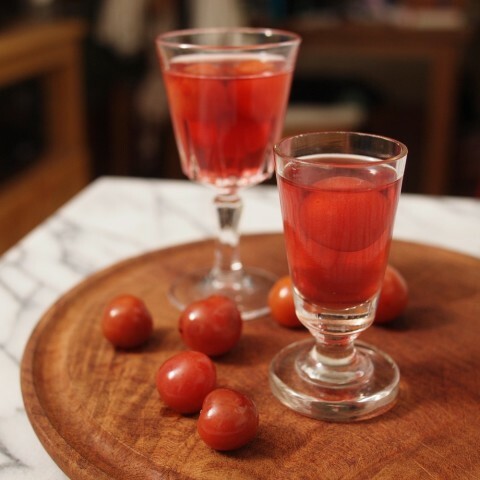 You’ll sip your ruby liquid until you’re down to just the shabby cherries. 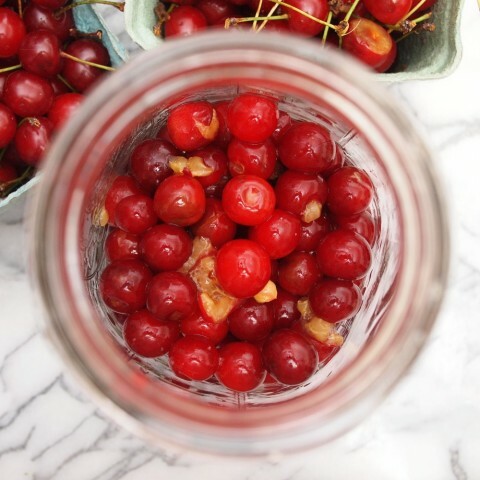 And then you’ll eat the cherries, too. If you wish to act like a real local, you’ll spit their pits on the sidewalk, to be trampled by subsequent groups of drinkers and loiterers. Or if you wish to be a polite visitor — as I was when I was in Lisbon — you will spit the cherry pits back into your plastic cup, and then discreetly deposit all the leavings in one of the nearby waste bins. In either case, what you’ll find is an experience that is categorically different from that of the bars, not two blocks away, that serve fancified versions of the sour cherry liqueur out of real bottles (rather than glass crocks) to a mostly sit-down crowd. That ginjinha, chocolate cup and all, is ultimately just fine if you like that sort of thing. But beyond all the brilliant flavor (and even more brilliant color), what I think is so interesting about ginjinha is that it seems to be a democratic tradition. It seems to me, from my outsider’s vantage, that for one moment of the day, milling about outside with plastic cups and gray cherries, every drinking denizen of the city of Lisbon shares something. And in that sharing, for that one moment, every drinking denizen of the city is the same. I just think that’s so cool. But then, I’m a folklorist, so I would. Unfortunately, I have no plastic cups. 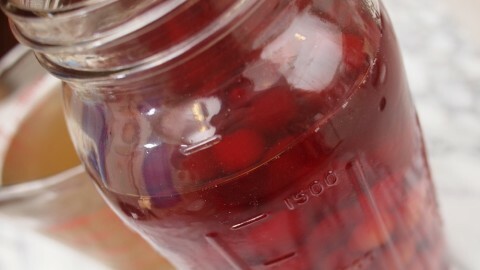 To a clean half-gallon jar, add the cherries, vodka, cinnamon stick, and cloves. Cover, shake well, and then store in an out-of-the-way place for about a month, shaking periodically to make sure that all the hooch gets into contact with all the cherries. 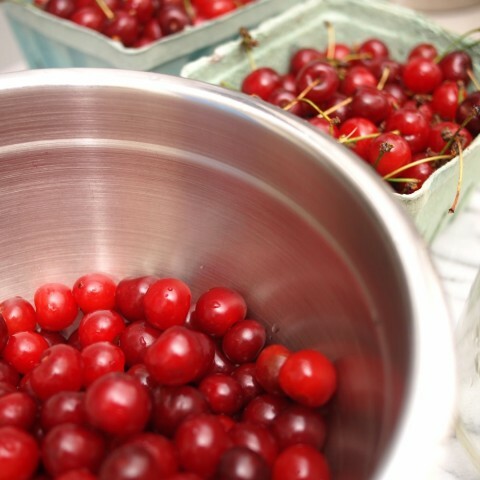 When the vodka has turned red, and the cherries have more or less lost their color, make your simple syrup: stirring, bring the sugar and water to a simmer on the stove, then turn off the heat, cover, and allow it to cool completely in the refrigerator. 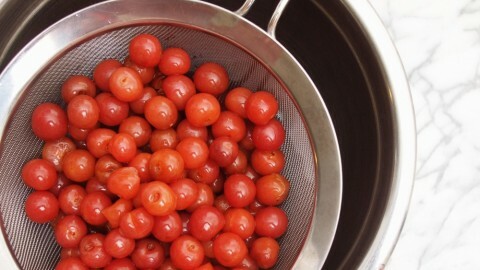 Strain the vodka into a medium mixing bowl, and set the spent cherries aside for later use. To the vodka, add the liter of simple syrup and the half cup of red wine, and mix well. Clean two half gallon glass jars (or one gallon-sized jar). 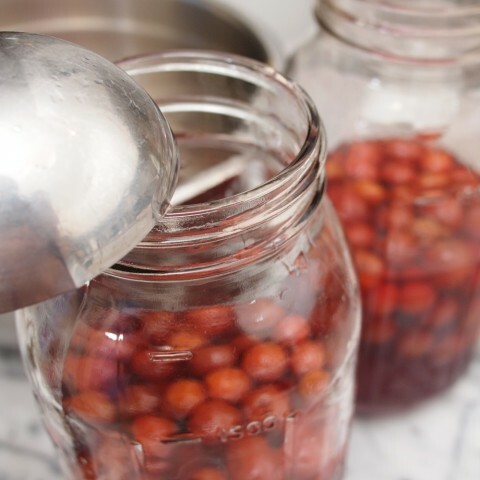 Split the spent cherries between them, and pour the liquid on top. Close the jars and allow the ginjinha to age for one to three months before drinking. You may, if you really wish, sip the finished product out of tiny chocolate cups. Done both, with and without the chocolate cup. Tasted my first one in Sintra (with chocolate cup), I thought that was very good until I went back to Lisbon and got mine in a tiny plastic cup at that small place on Largo Sâo Domingos. I left with 2 bottles to bring back home. Love it! I suspect that my indifference to chocolate cups has to do with the fact that I went in the opposite direction: Lisbon first, then Sintra. I’ve never heard of ginginha made with vodka. My family has made it for generations with varying proofs of aquardente. I think what you’re making is a vodka infusion which maybe be lovely, but it’s not ginginha. Ordinarily I would agree with you. But I have never been able to find aquardente in the United States, and certainly not in Pennsylvania, where I live, where all alcohol is sold in state-run liquor stores with relatively limited selections. Obvious replacements like grappa are very expensive. So I consulted with a Portuguese friend who suggested vodka. And in terms of results, I have found this recipe to be very close to what I remember. If you have a good source for the base alcohol for me, I would surely go out of my way to get some next summer when I make my next batch, and then write up those results. I do love ginginha and make it every year. If you ever get to Newark, NJ, you can buy it there. There’s a Portuguese neighborhood near Penn Station called Ironbound where you can find it in liquor stores on Ferry Street. We just got back from Portugal. Fell in love with ginjinha and so, we picked a buch of sour cherries . Hope your recipe works out! The only modification I might consider after having done this a few times is removing the cinnamon and cloves after about a week. It doesn’t always, but it has the potential to get very strong otherwise. Adam, I sent you a fb message with pictures of our ginjinha! Followed your recipe but the result is way too strong when compared to what we bought in Lisbon…the cinnamon and clove favors are also overwhelming. Any ideas about how to “correct” the batch? Was planning to give to friends and family for Christmas…. When you say red wine, do you use a dry red or a sweet red like port?